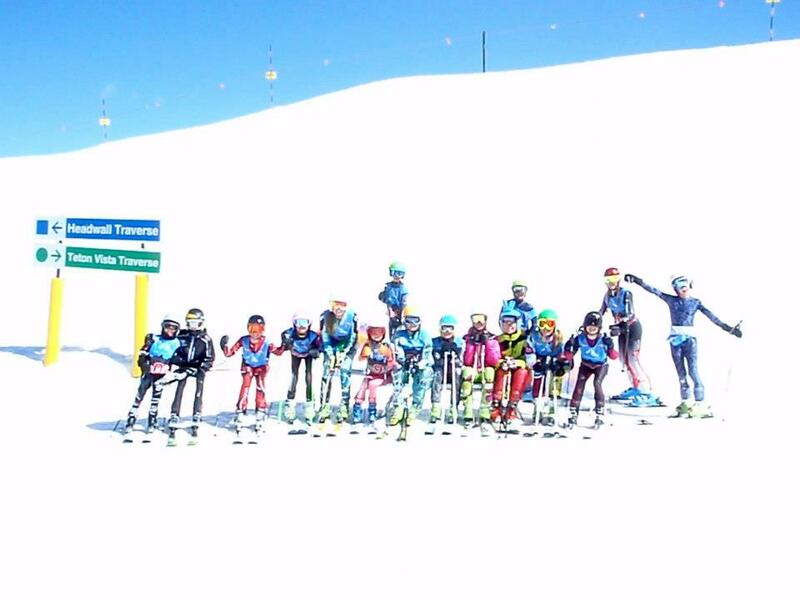 Thanks to Brighton Ski Team for this great photo of the racers at last year’s Grand Targhee race. 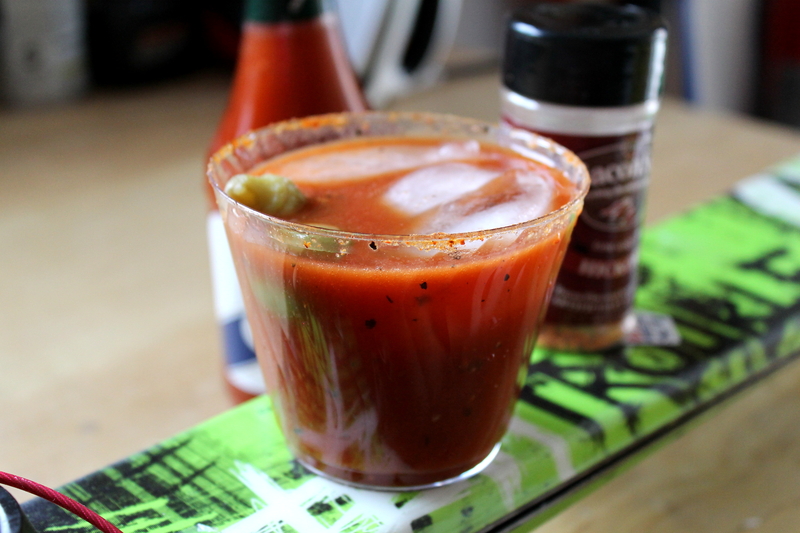 Last Spring, I wrote about our [mis]adventures at Grand Targhee with my boys’ downhill race team, the Brighton Competition Team, and shared a recipe for a traditional spicy Bloody Mary.The madness has continued yet again this season, with both kids competing in alpine race events all over the place. Usually on different mountains on the same day. #FML. The Macallan has finally embraced Google calendar and we’ve synched up our lives to get the boys where they need to go. 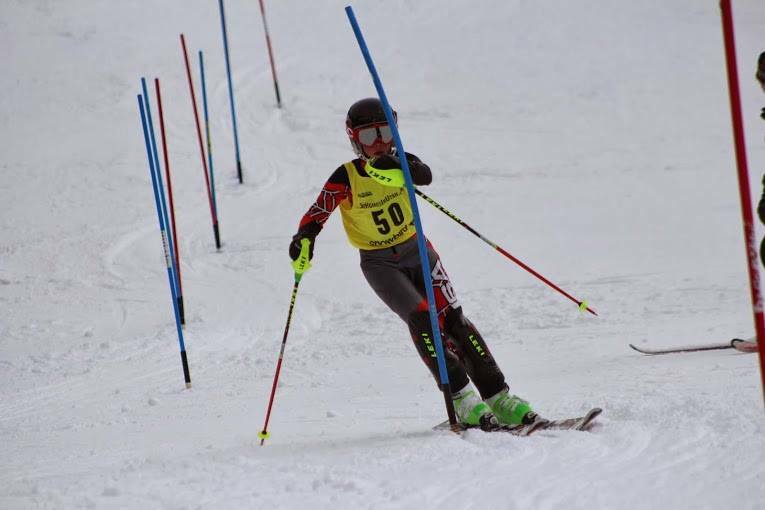 Over President’s Day weekend—one of the busiest weekends at every ski resort, just sayin’ in case you are already making vacation plans for next year—my older son Tim Collins raced slalom and giant slalom at Snowbird. 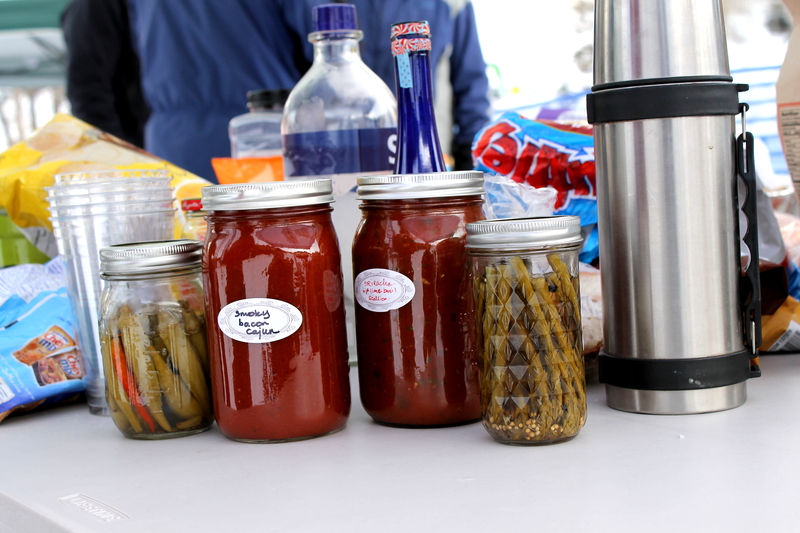 One of my favorite traditions of ski racing, and hell, any outdoor sporting event, is the tailgate party. In the past year, our home mountain team has paired up with Summit Ski Team of Park City and put on a seriously festive tailgating party, that is [dare I say it] the envy of other race teams. Well, at least we have the best bar and loudest cowbells. Summit Ski Team’s fantastic “GrillSki” [patent pending, I’m sure]. Think of moving everything from your truck ONTO the mountain at whatever resort you are visiting: tents, chairs, tables, grills, coolers, bars. You name it. 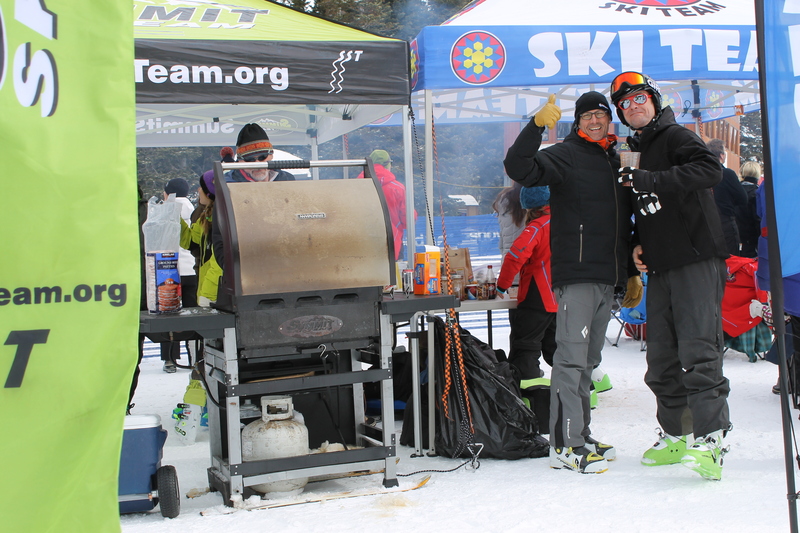 A parent on the Summit team has even become the envy of pretty much every race dad in the Intermountain Division by mounting a grill on SKIS = the GrillSki. Yes, you can slide your grill to the tailgate spot. Ingenious. 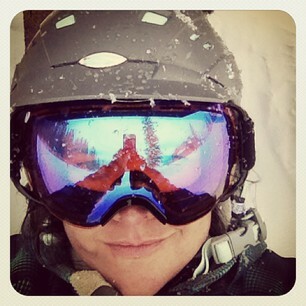 It’s up there with the ‘shot ski’ as best re-appropriation of old gear. On Monday, our family’s contributions to the party were a couple of different kinds of Bloody Mary mix and an XL bottle of vodka. Each of these recipes makes about 1 quart, so increase quantities as needed. A plastic gallon jug, for instance, is perfect for pouring mixers for a crowd. 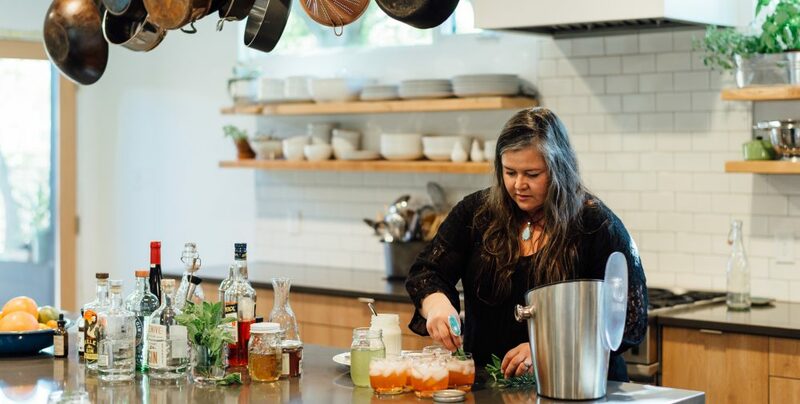 If we’ve got the space and muscle, I like bringing pint Mason jars to serve the drinks; just put ice and all of your ingredients into the individual jars and they become both the shaker and the glass. Keep all the lids on hand to seal up the jars for mess-free clean up and transport. As one race dad said, “This isn’t a cocktail. This is the best freakin’ breakfast I ever had in a glass.” Aw, y’all say the sweetest things. To a small food processor [or large-mouthed quart jar so you can use a stick blender] add all ingredients EXCEPT for the tomato juice. Blend thoroughly, until basil and onions are minced but not a gooey slushy mess. Add herb mix to the quart jar along with tomato juice, replace lid, and shake to combine. Add some crushed black pepper and sea salt to taste. 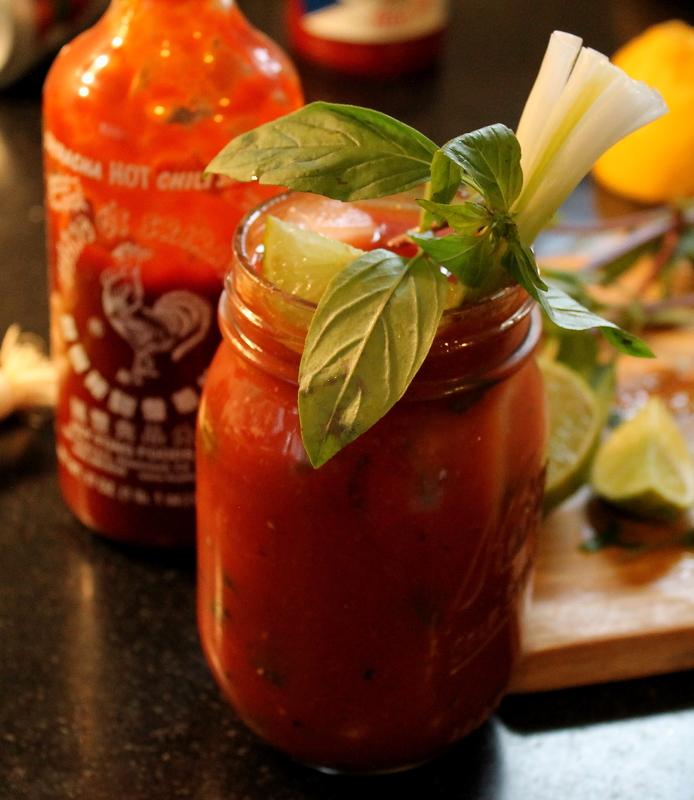 Mix up with a ratio of 2 parts Bloody Mary mix to one part vodka. Serve over ice. Garnish with a sprig of Thai basil and a slivered scallion. You can either make your own bacon salt—cook down 3-4 strips of smoked bacon until crispy, drain on paper towels and cool, then add to a food processor with a pinch of smoked paprika and ¼ cup kosher salt and buzz until all minced together—or use a commercially available blend. If you have time, infuse your vodka by adding all those leftover bacon drippings to 2 cups vodka, chill for a couple of days, and then strain through a double layer of cheesecloth before use. Cajun Smoky Bacon Bloody Mary. Great slope-side or during your next ski tuning session. Combine all ingredients in a quart Mason jar and shake like crazy. If desired, rub the rim of the cup/glass with a lemon wedge and dip in additional bacon salt. Mix up with a ratio of 2 parts Bloody Mary mix to one part vodka. Serve over ice, and garnish with pickled okra, a strip of bacon, olives, or whatever you’ve got on hand. Thanks BST for this photo of my racer! I’m all up in here canning kumquats this week. They’re delightful little buggers with the wonderful dichotomy of having the reverse tastes of most citrus: bitter fruit and sweet skin. They’re definitely not in the Canning 101 category. Like okra and apricots, they’re notorious floaters and take quite a bit of pre-canner finessing [soaking in baking soda, pricking the skin to prevent bursting, etc.]. I’ll post the recipe soon, not to worry. Right now, I’m frantically packing and getting ready for a trip to Louisville to see my fan-damily AND attend the Bourbon Classic with my mom and sis. Girls trip! Until I get back and tell all y’all about my boozy adventures in the Bluegrass, I hope this will tide you over. 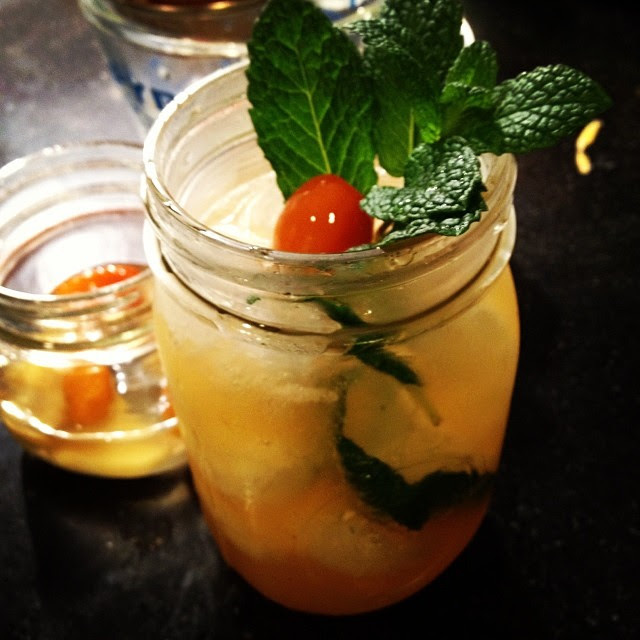 To a pint Mason jar, add all ingredients except garnish. Fill with ice, leaving about 1” head space. Attach lid, and shake like crazy. Remove lid and add a little club soda, if desired, and the extra mint garnish. Enjoy! *to make ginger simple syrup: make a pint of simple syrup as usual, then add about 1/3 cup rough chopped peeled fresh ginger while still hot. Cool to room temp, add lid to jar, and refrigerate overnight. Strain out ginger before using. Keep refrigerated, and it’ll last a couple of weeks.